Metang in game: 411 Who? Important notice! Pokemon Metang is a fictional character of humans. Metang is formed when two Beldum fuse together. A magnetic nervous system joins the brains of these two Pokémon. 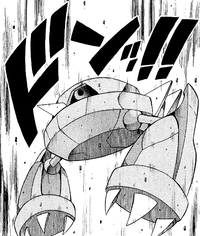 This linkage allows Metang to generate a strong, psychokinetic power. 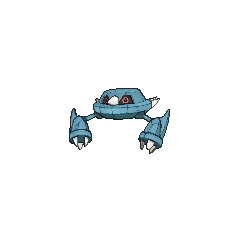 This Pokémon’s high intelligence and strong magnetic field are other sources of powerful psychic energy. In addition to generating psychic power, its magnetism allows Metang to hover in midair. This Pokémon lives on rough terrains. Metang made its debut in Saved by the Beldum after Morrison's Beldum evolved whilst battling against Jump's Electabuzz. In Bibarel Gnaws Best!, the head engineer owns a Metang. A wild Metang appeared in Steeling Peace of Mind! 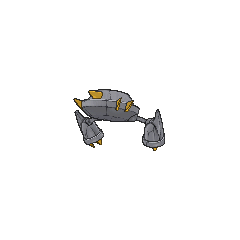 A Metang appeared in The Synchronicity Test!, under the ownership of Alain. Multiple Metang appeared in Pillars of Friendship! under the ownership of J's henchmen. A Metang appeared in Zoroark: Master of Illusions under the ownership of a Pokémon Baccer World Cup participant. AG126 Metang Ash's Pokédex Metang, the Iron Claw Pokémon. 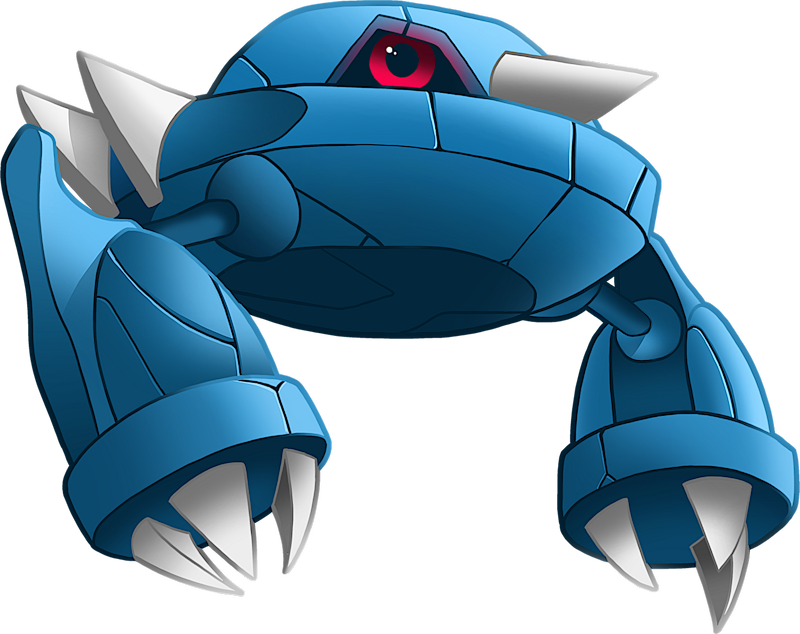 Metang is the evolved form of Beldum. Its highly developed intellect and strong magnetic force allow it to compose powerful psychic energy. XY116 Metang Serena's Pokédex Metang, the Iron Claw Pokémon, and the evolved form of Beldum. Metang is breed from the union of two Beldum. When its two brains are joined together, its psychic power is increased. Steven owns several Metang. He uses one to help him locate and dig up rare stones in various caves. Four others were used as standing platforms for each of the Hoenn Elite Four members. Although it is said that Metang is made up of two Beldum, there is no visible evidence of this. 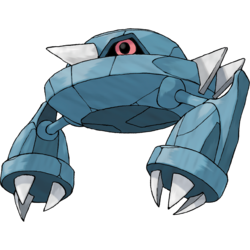 In the only anime episode to date showing a Beldum evolution, Saved by the Beldum, when Morrison's Beldum evolves into Metang, it "composes" another Beldum and newly developed main body to evolve, instead of fusing with another Beldum. Likewise, if a Metang evolution is shown, it is highly unlikely it would involve two Metang evolving together. This is similar to the games.